This week we published a new Domain Monitor digging into the recent Optum acquisition of Alere’s health management business, which mostly pertains to their remote monitoring devices and related technology services. This announcement follows a series of events at Alere showing a rapid shift away from the vision of a comprehensive population health management solution, which, though needed, proved overly ambitious for the current market as well as the company. The beginning of this unraveling came back in late June, when differences emerged within the boardroom and Ron Zwanzinger, founder and CEO of Alere, was essentially ousted – along with a couple other senior members of the company. Since then, the company has shifted its focus, selling off anything not related to their point-of-care diagnostics business (or in the case of their Alere Analytics offering – formerly DiagnosisOne – still looking for suitors). Their AlereACS component, formerly Wellogic, was bought back by Mr. Zwanzinger and is being led by essentially the same team, just significantly reduced in workforce size (Alere had deeper pockets). The sale of the health management division to Optum for $600M in an all-cash deal signifies just how quickly the board is trying to offload non-core products associated with their new vision. This represents an approximately 2x multiple on sales and a $580M loss relative to what was spent on acquiring Matria, which was the foundation of this division, in 2008 (for $1.18B). The market is simply not ready to sole-source such a significant, complete PHM platform from any one vendor. There are too many moving pieces, too many legacy apps, services and tools already adopted and many question marks remain as to just how big PHM will become to make such a big bet this early. Vision is great, but being able to effectively execute on today’s more mundane market needs is critical to keep investors from getting overly anxious and involved. Optum continues to effectively use the cash spill-over from UHG to remain acquisitive. While this acquisition will likely see more internal business from UHG than outside, Optum continues to aggressively build out its portfolio and more acquisitions are assured. While the strategy Alere had been pursuing was sound, the goals lofty and in theory achievable, there were a number of reasons this didn’t end up working out. Most importantly, the market just isn’t quite ready to make a large investment in one solution provider for all their PHM needs, especially when any true value proposition was sketchy beyond the ever-touted readmissions reduction opportunity. Secondly, the acquisition-spree the company went on ended up leading to more headaches than new deals. In-fighting about vision and resource allocation, combined with the operational nightmare that comes with cobbling different companies together without a strong unifying core slowed development and new-customer acquisition to a practical standstill. Our research throughout 2014 has found time and again that the vast majority of HCOs are not ready for the full enterprise platform play that many vendors are pitching to enable PHM. Rather, these organizations are taking a wise and cautious approach that is in relative lock-step to the pace of VBR contracts that they are now signing. 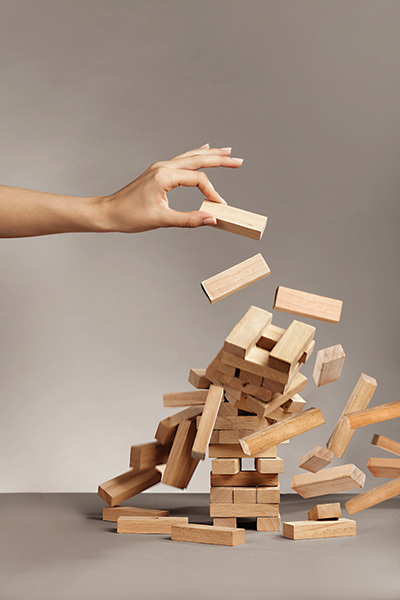 There is a significant amount of change management required within an HCO to enable their PHM strategy and this cautionary tale is further evidence that the roll-out of PHM-enabling solutions will rarely be enterprise-wide for the next 12-24 months.